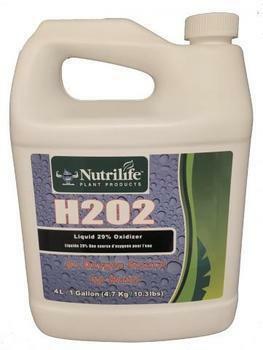 Nutrilife Plant Products of Canada is recalling about 15,300 one-gallon/four-liter bottles of hydrogen peroxide (H202) liquid 29% oxidizer sold in the U.S and Canada. The bottle caps do not vent properly and can allow pressure to build up in the bottle and cause it to expand and rupture, posing fire and burn hazards. The company has received one report of a fire resulting in minor property damage. This recall involves Nutrilife Plant Products one gallon/four liter bottles of hydrogen peroxide (H202) liquid 29% oxidizer which is used as a source of oxygen for water, a preservative for fresh cut flowers, and to keep unwanted nutrient residuals clear in reservoirs, drippers and dripper lines. The plastic bottles are white with a blue/green label with a handle at the top. The Nutrilife logo, H202, Liquid 29% Oxidizer and “An Oxygen Source for Water” are printed on the front label. Open and closing instructions are printed on the bottle caps with indented lettering. The chemical, manufactured in Canada, was sold at plant food and hydroponic stores nationwide from November 2016, through July 2017, for about $33. Consumers may contact Nutrilife toll-free at 877-533-9572 anytime, direct at 604-996-6609 or 250-300-9455, by email at nutrilifeproductrecall@gmail.com or online at www.nutrilifeproducts.com and click on “H202 Urgent Recall Notice” for more information.